All in One SEO Pack is a useful plugin that optimizes your WordPress website for Search Engine Optimization and is preinstalled on most themes. Search engine optimization or SEO is crucial for improving the rank and visibility your website gets in search engines. High ranking and enhanced visibility has as a result increased numbers of potential customers. All in One SEO Pack simplifies the SEO process for you. Once activated, the plugin works immediately. However, you can customize it according to your needs. 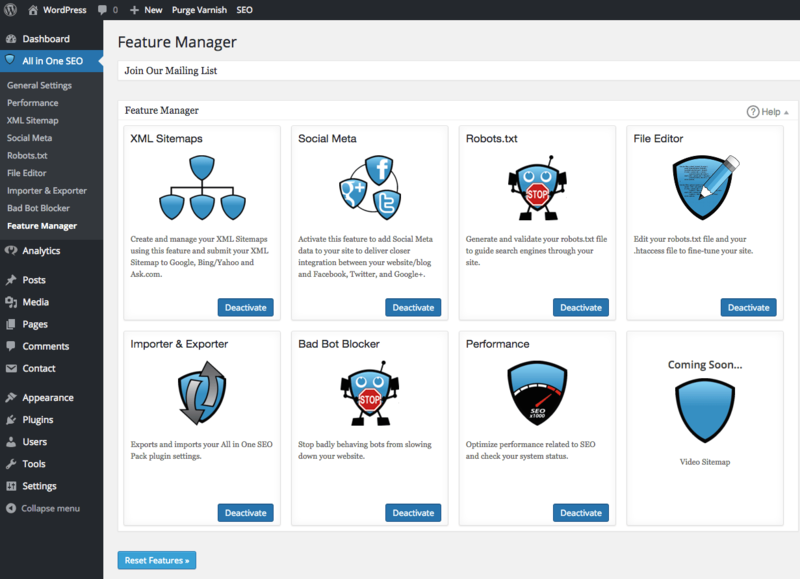 All in One SEO Pack is packed with a set of features that can be activated at the Feature Manager. A sitemap lists the pages your website has and informs search engines about the organization of your content. 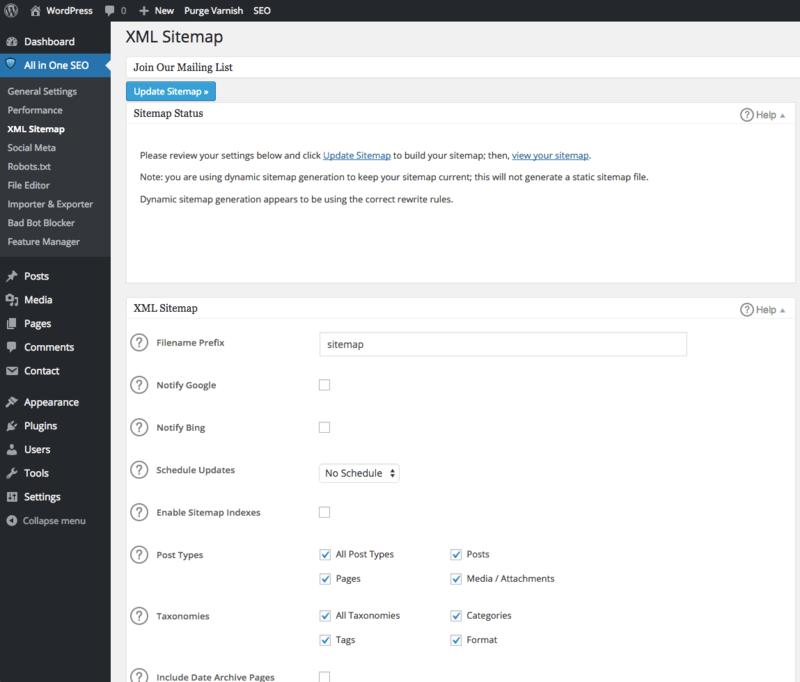 Use this feature to make an XML sitemap of your website. When content from your website is shared through Facebook, Twitter or Google+, the Social Meta feature makes sure it’s closely integrated. 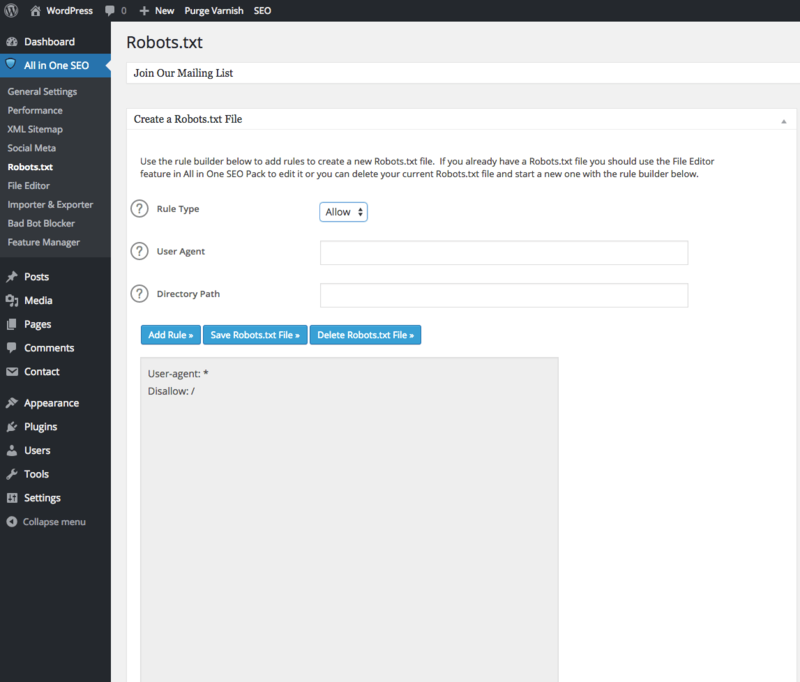 If you don’t like search engines crawling specific content on your website, a robots.txt file will do the trick. 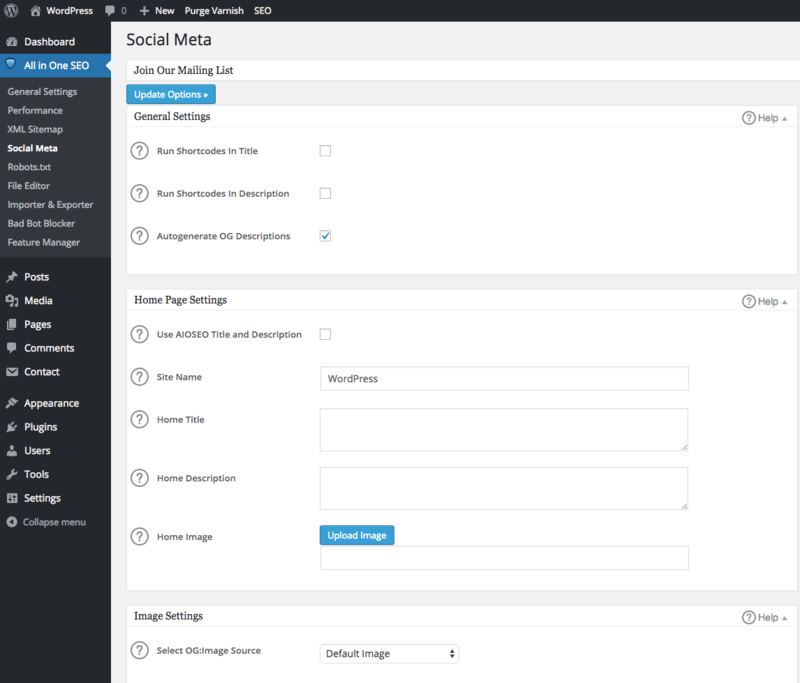 This feature can generate one for you based on the specified rules. You can use this feature to export your All in One SEO plugin settings, either for backup purposes or for a website migration. Also the same feature is used to import your settings. 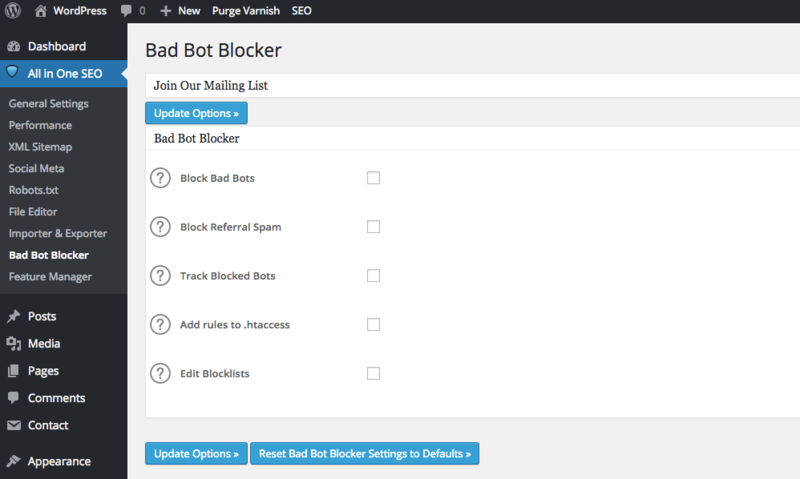 Internet bots can slow down your website by performing repetitive automated tasks. Use this feature to block certain bots. Check your system status and optimize SEO related performance. The plugin contains inline help, but for detailed information you can read the FAQ.